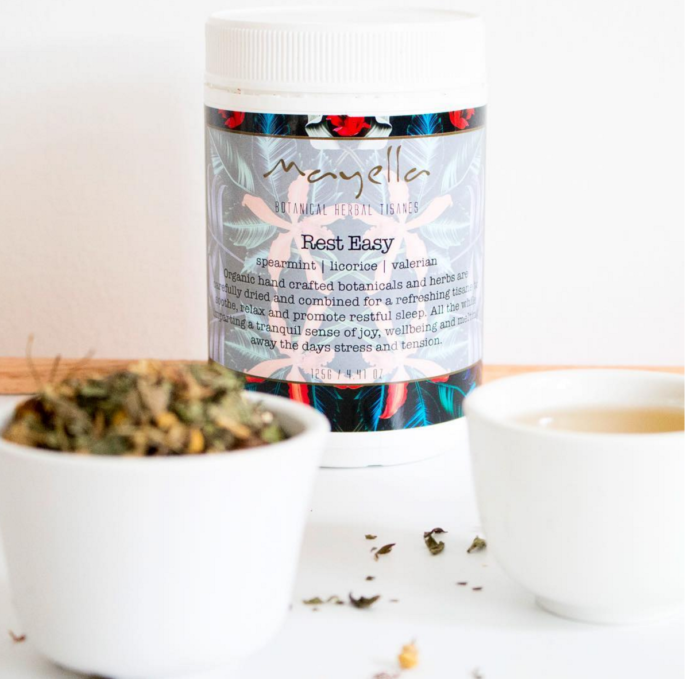 Organic hand crafted botanicals and herbs are carefully dried and combined for a refreshing tisane to soothe, relax and promote restful sleep. All the while imparting a tranquil sense of joy, wellbeing and melting away the days stress and tension. An infusion of Certified Organic and Handcrafted dried botanicals and herbs specially blended for a remedial tea experience where every sip is pure bliss. Promotes restful sleep via calming and restoring the nervous system while optimising breathing = sinus, nasal, bronchial, lung and decongesting and clearing airways. Breath is vital to a deeper sleep. Better sleep allows the body to rest, repair and rejuvenate, awakening refreshed and ready to tackle another day. Those with a tendency to headaches or migraines will benefit from regular enjoyment of Mayella ® Rest Easy. 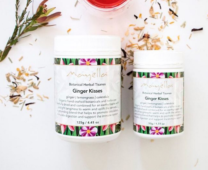 Mayella ® Herbal Tisanes are 100% organic, clean, vegan loose leaf teas. Blended and made by us here in Australia for you with the ultimate in good health in mind. We source globally from the optimal geographic destinations, and it is our privilege to work with growers of fairtrade and sustainable origins. 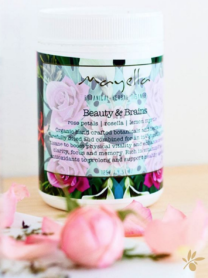 You will savour the difference with Mayella®. Add 1 teaspoon per serving of loose leaf tisane into a teapot or coffee press and add boiling water. Let steep for 5 minutes so as to infuse well and strain. 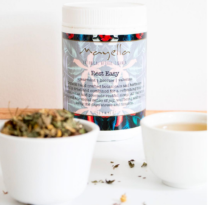 Sit, unwind and enjoy the taste and aromatics of your Mayella ® Rest EasyTisane. 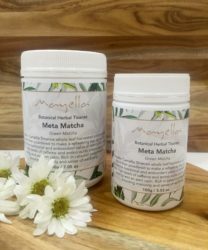 Organic handcrafted botanicals and herbs careful dried and combined with love. Chamomile Flowers – Calming, relaxant, anti-inflammatory, heals and repairs. Licorice Root – Anti-inflammatory, hormone adaptogen, calming, expectorant, demulcent. Spearmint – Digestive aid, clearing, uplifting and refreshing. Valerian – Digestive aid, clearing and diuretic. Sedative, antiseptic and offers a sense of wellbeing. Sweet Orange Segments – decongesting, Vit C and betacarotenes boost immune system and moderate free radical activity. All ingredients are sourced from the global village and are of the highest available quality while ethically and sustainably supporting local independent farmers under fair trade practices.